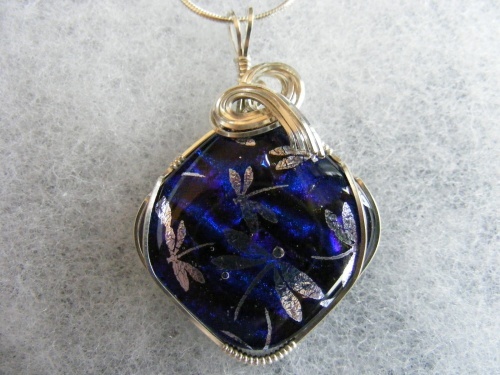 This beautiful deep blue handmade dichroic pendant is so striking. If blue is your favorite color, then this is for you. Sweet silver dragonflies fluttering all over the piece to match the sterling silver sculpting. Comes with a sterling silver snake chain.